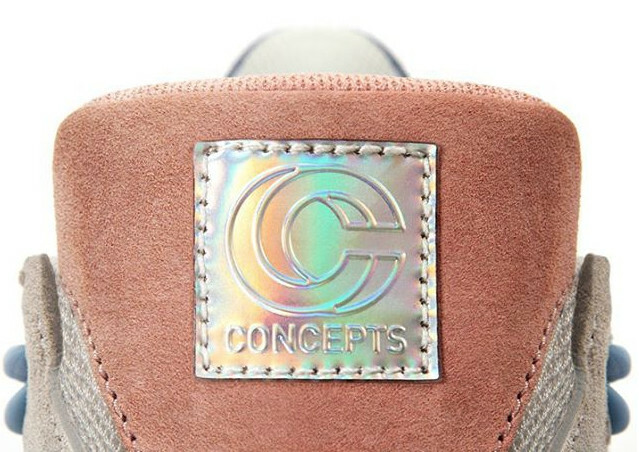 The next special release from Concepts. Boston sneaker boutique Concepts is channeling currency for a collaboration once more, this time outfitting the Diadora N9000 with a look inspired by a note from its native land. 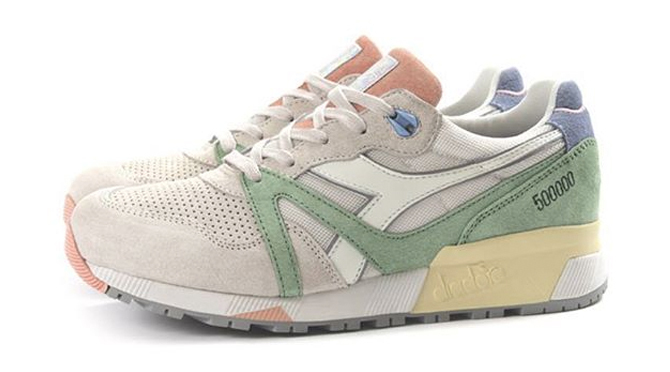 The made-in-Italy sneaker shown is nicknamed the "Lire," and is colored up to look like the extinct Italian lira. 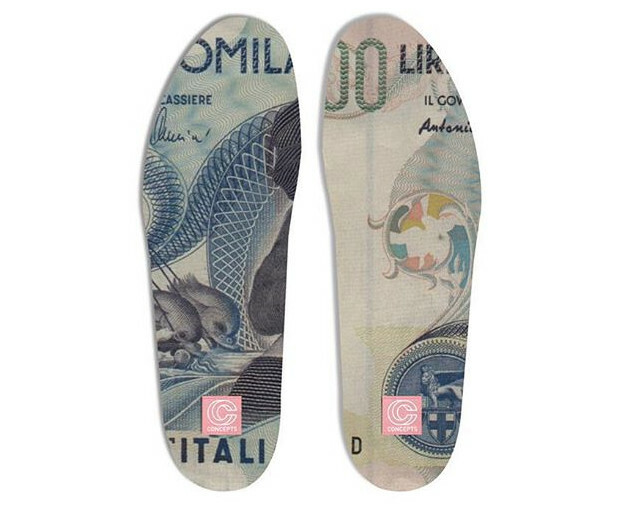 More specifically the shoe is made to look like the 500,000 note, with graphic insoles that borrow imagery from the piece of currency and redone embroidery on the heel that replaces the traditional "N9000" hit. Watch for the Concepts x Diadora N9000 "Lire" to release on Oct. 3 via Concepts both in-store at the Cambridge location and online.